Michael Bordo presented in the WSJ an interesting alternative to the Reinhart-Rogoff "this time is different" meme. The fatalist view of the Reinhart-Rogoff is that financial crises always take a long time cure and result in a slow recovery. The time frame for a recovery may be 7-10 years. Bordo discusses his research with Joe Haubrich of the Cleveland Fed and provides an alternative view. They find that generally deep steep recessions are followed by strong fast recoveries. This is consistent with the Friedman plucking of a string story of recessions. They find that financial crises actually show stronger recoveries than non financial recessions. The exception is the current recovery. Their results focus on the US and try and measure the growth rate of the recovery and not the return to the long-term trend like Reinhart and Rogoff. Their work also finds that the current recovery is unusual and does not follow the pattern of other past financial crises. They suggest that this may have to do with the sharp decline in residential investment; nevertheless, they would argue that we are not destined to poor growth. Demand for premium Arabica coffee beans is off and there is a killer on the loose, the K cup. As one pundit put it, most coffee is consumed by the drain, so a more efficient delivery system will have a strong impact on end demand. 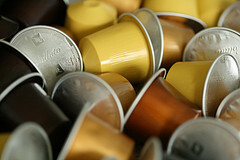 Demand for the K cup has increased from about 6,000 tonnes in 2005 to currently over 36,000 tones of coffee. But, what would consumption have been if there was no K cups. It would have likely have been higher. The demand of single serve coffee is cutting into normal brewed coffee by the pot. The end result has been a demand shift causing a price decline. There are other reason for the decline in Arabica bean prices. These are the beans that are sold to the most discerning users which are in the EU. With income levels falling in the countries that have the highest per capita usage of coffee, the premium bean is getting hit hard. The cafe lifestyle of Spain and Italy is declining. As incomes fall, there will greater demand for the inferior good, the Robusta bean,(break out the microeconomic book and review the section on inferior versus luxury goods). Coffee is a commodity now driven by strong structural demand shocks and not the usual supply shock. What is happening to economic freedom in the US? 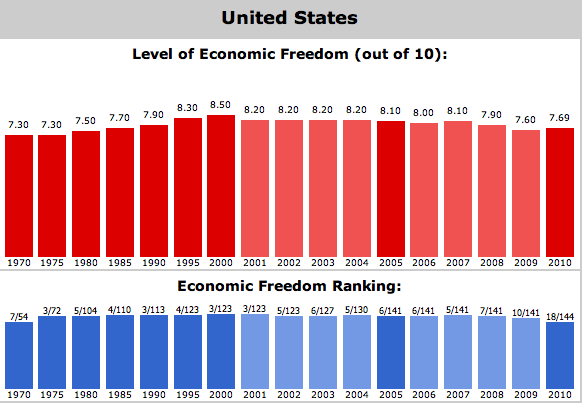 The Fraser Institute's volume on the Economic Freedom of The World shows that the US is less the home of the free. We have seen the US decline to a level below the top ten. Is this a good measure? There can be strong arguments made on both sides of this measurement issue, but a criteria based on strict quantitative data can at least provide historical and precise measures for freedom. This is worth a discussion in an election year. Thinking about uncertain events in terms of probability improves our risk intelligence. Who are good forecasters? 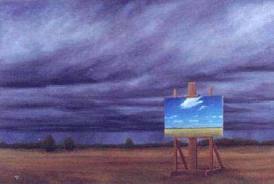 Weathermen, because they will think about there forecasts in terms of chances. The above graph is from a NOAA primer on forecasting. 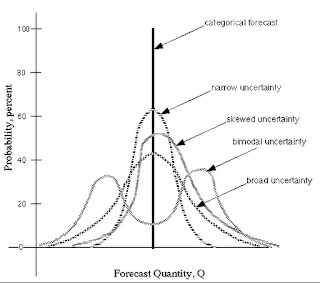 It presents the broad array of forecasts of uncertainty from categorical forecasts to broad uncertainty. 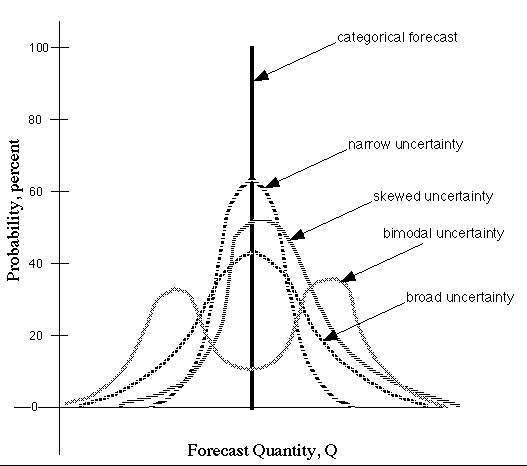 The primer presents some simple ways to judge forecast through contingency tables and Bayesian analysis. The contingency table can measure our success at forecasting with probabilities. The primer is worth a look for anyone trying to be a better forecaster. Keynes - we hardly know ye! Everyone talks about Keynes, but it seems like we do not really know him. He has been the dominant economic figure in the post WWII period but we have often projected what we want in economics on him. Surprisingly, Keynes is not really taught in economics classes these days. History has been supplanted by mathematical tools. The authors of this short book do a good job of reintroducing Keynes and describing the different Keynes that existed or currently exist. The rise of Keynes after the General Theory was consistent with the ascent of economists as policy engineers. The failure of this policy engineering was projected onto Keynes. Developments in macroeconomics used Keynes as the straw man to measure the effectiveness of new ideas. Rational expectations and monetarism were not Keynesian economics. The rise of the new macroeconomics led to the fall of Keynes in many eyes. With the financial crisis of 2008, there has been a reassessment of Keynes. We have been told that we need him once again to provide answers on economic growth. 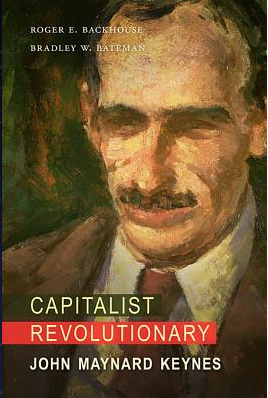 The authors argue that Keynes provided an ambiguous revolution of economy thought because he himself ha many personalities. He was not really an academic. He was a sometime speculator and investor. He tried to be a moral philosopher. He was a policy physician helping with the macro policy problems of the day. He tried to create a fundamental redirection of capitalist theory. His ambition to change economic thinking is still affecting the economic discipline. The authors provide the richness of this complex thinker and the fact that he is still a person of controversy on how we view the capitalist system. A very good book, Risk Intelligence: How to Live with Uncertainty by Dylan Evans, advances our understanding of risk management. Evans provides a concrete method of the measuring risk intelligence within individuals in order to help managers see their limitations at assessing probable events. This is an advancement over the direction of behavior finance which has focused on the flaws of decision making but has not provided useful tools for improvement. The author makes the important point that there is a difference between risk intelligence and risk appetite. Risk intelligence is the cognitive capacity to assess risk and is an intellectual ability. Risk appetite is an emotional trait associated with the comfort that someone has with risk taking. Risk appetite is a taste or preference for risk. It is not good or bad, right or wrong. It is a characteristics of an individual. Risk intelligence, on the other hand, can be a learned skill. Those who show have higher risk intelligence should perform better at assessing risk regardless of the level of risk appetite. Risk intelligence is a skill that can be measured and improved. Weather forecasters are good at it. Doctor are poor at risk assessment. Risk intelligence is about assessing the right amount of uncertainty for a specific event. It is the ability to properly estimate what is likely. We do not live in a totally certain or uncertain world, but one that has degrees of precision. One of the key behavioral biases discussed in finance and all decision making is over confidence. Risk intelligence allows an individual to reduce any overconfidence bias they may have. Risk intelligence is not about gathering information or data to be smarter, but handicapping the information that is available to make a correct assessment of events that are still uncertain. David Apgar defines risk intelligence as "the ability to reach accurate judgements about a specific new risk." Frederick Funston defines it as "the ability to effectively distinguish between two types of risks: the risk that must be avoided to survive by preventing loss or harm; and the risks that must be taken to thrive by gaining competitive advantage." Isn't this the intelligence we need to be better investors? Evans presents a test on measuring risk intelligence. The test tries to measure how much you know about specific facts. Specifically, can we properly measure not one's knowledge but our ability to understand our certainty of what we know. Testing can measure whether the proportion correct in a knowledge test matches our probability estimate. Someone who has perfect risk intelligence will be able to properly calibrate what they know with what they think they know. We are actually pretty good at making these assessment when we have games which require specific probability skill. Those tasks that are not naturally probability based is where most people have problems. Testing usually shows that we are overconfident in our knowledge. In this context, our probability estimate of what we think we are certain about is much higher than reality. We are good at handicapping what we do not know, but those things which we are most certain about may actually not be true. Improved risk intelligence will help with calibrating our probability assessments to match reality. Risk intelligence helps us generate measures of subjective certainty that is consistent with the actually probabilities of events. 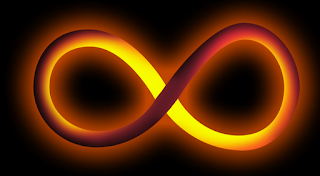 Unfortunately, many either provide subjective certainty that moves from extreme states that they are absolutely sure of events, or have no idea of certainty and stay in a state of ambiguity where everything is flip of a coin. Risk intelligence tries to increase our spectrum of certainty judgment. We fall into decision trap when we do not assess risk properly. 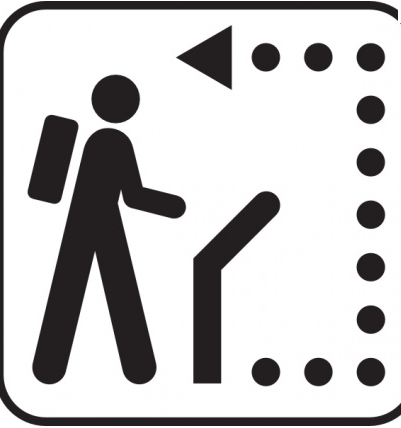 A good example of a simple trap is worst case thinking for making decisions through placing emphasis on the what may go wrong at the expense of measure the chance that something may go right. We move to an extreme and do not calibrate risk. The same problem excise when we put emphasis on all or nothing statements which move to extreme thinking. Evans is an original thinker who advances thinking about risk calibration. We should see more work like this in order to improve or risk intellect. QE3 - September 13 - ?? The impact on quantitative easing has varied base don on the asset class that is used for benchmarking. The dollar has shown a strong tendency to decline during the QE periods. The exception was Operation Twist. The long bond showed consistent performance with rates rising during periods of quantitative easing except for the Operation Twist. Commodity markets seemed to move more to their own drummer, but still showed a tendency to rise during periods of QE. However, the impact of QE2 was smaller and the direction of the commodity index was down during Operation Twist. The impact of QE3 should be dollar negative, rates negative, and a potential to be positive for commodities. Restrict or not to restrict, that is the question! Russia does not seem to be able to make up its mind on whether to restrict exports for wheat. The grain markets have been spending the summer worrying about the decision that they may or may not make. Russia may also sell from stockpiles through grain interventions to reduce any increase in price and control inflation. Food CPI is now at 5.5% which is higher than what is found in other parts of the EU. The idea that export restrictions can be used to help curb domestic inflation is becoming more prevalent. According to The Economist, between 2007 and 2011 33 countries imposed export restrictions on food. Agriculture accounts for less than 10% of world trade, but more than 2/3rd of the cost of border distortions. The law of unintended consequences is that efforts to stop price rises domestically through export restrictions can have the impact of raising prices around the world. Demand increases as imports fight for what may be left on the world market. One study calculates that 45% of the huge price increase in rice prices in 2006-2008 was attributable to trade restrictions. The uncertainty from Russia just adds to the risk premium in grain prices. Give me the real thing! I want gold not pieces of paper. 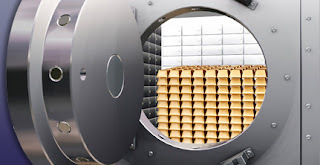 The demand for physical gold has created demand for storage. Barclay's bank has opened a new vault within the M25 ring in London. Gold has been a better investment than stocks over the QE periods and is again showing live as inflation expectations have increased in the US and EU. If the central banks want to reflate financial assets, gold looks good. We love good communicating between the markets and central banks. Charles Plosser, the president of the Philadelphia Fed, boldly stated that he thinks that the current QE program will have limited impact on economic growth. So, we do not have consensus on the next monetary experiment, QE3. We do know that if you buy more Treasuries and mortgages but banks do not lend the money but hold as excess reserves, there will be no stimulus. The decision to hold more or less excess reserves is a function of expectations on investment and aggregate demand. Investment and aggregate demand may be more related to what the government can do to shift the demand curve and change expectations. Unfortunately, the choices on the fiscal side is limited and the fiscal cliff is still outstanding. Commodities can serve as a proxy for emerging market exposure in an investment portfolio. The simple rationale for using commodities as EM equity proxy is twofold. One, any increases in commodity demand will come form the emerging markets. Two, a growing majority of commodity supply comes from emerging markets.Both these factors mean that commodity prices will rise with the success of emerging markets. Taking this exposure in commodities is also easy to execute. An exposure in commodities can be taken in a regulatory friendly environment through futures markets in the US and other developed countries. There is a significant liquidity for entry and exit in this markets. It is easy to go both long and short in futures to construct a pay-off from commodity moves. The demand story. The graph above shows that the majority of the population (80%) comes form emerging markets. A majority of energy consumption occurs in the emerging markets. Almost 50% of global exports are coming through emerging markets as well as over 1/3 of global GDP is generated in EM. Increases in growth will lead to higher commodity prices. As emerging markets become more important on the demand side of global growth, commodity prices will rise. Commodity production dominates the GDP of many emerging market countries. Some simple examples highlight the link between commodity production and growth in EM. 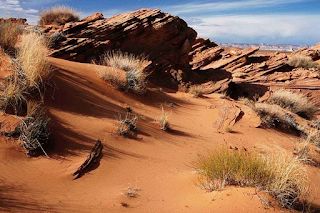 In the mining area, places like South Africa are closely tied to precious metals mining. Indonesia and Chile are just two of the countries which have large exports of industrial metals. Energy production is driven by the drilling in the Middle East and Russia. Agriculture prices are affected by production in Latin America as well as Asia. A simple analysis can show the link between emerging markets and commodities through measuring the beta of different equity indices with the DJUBS commodity index. The table provides the simple fact relationship for some large emerging market indices. Nevertheless, there are significant differences between these assets classes. Equities are subject to a different set of risks than a commodity portfolio. These differences mean that there will be value with holding both emerging market equities and commodities in a portfolio. equities will be subject to local regulatory, legal, and tax developments. There is less liquidity in many EM equity names. Equities, as the residual value of the firm, will be levered to price changes and developments in the measured reserves of the commodity. equities may provide dividend payments but the link between rising commodity prices and the value of the firm is usually not one for one. The commodities will respond better to supply shocks and will be less sensitive to the activities within a particular country. Hence, there is still unique risk exposure in commodities. Where is the currency volatility? G7 currency volatility as measured by the JP Morgan index has fallen to level not seen since 2007. This should be good for carry trades, bu the performance has been mixed given the low overall rates and the small interest differentials. In spite of all of the macro events across the G7, volatility has not leaped except for the May-June period. Central banks have been active in many currencies. Perhaps not directly, bu the controlled monetary conditions have reduced the ability for currencies to find a wider range. 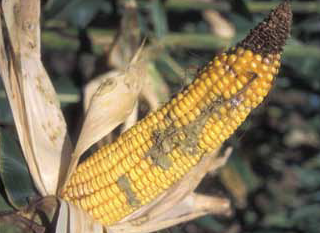 When you have warm weather and drought, corn will develop mold which creates aflatoxins, chemicals from the mold which harm animals which eat this feed. This creates a set of uniquer conditions which affect the harvest for corn. First, the harvest is started sooner in order to get the corn out of the fields. Second, farmers will not want to store corn with aflatoxins in their bins. The result is that more corn is brought to market sooner. The price will start to come down as this supply hits the market, yet the numbers may not represent the amount of good corn available. More screening of the crop will have to be done. Some of the grain brought to market will be rejected. At this point, we do not know what will be the impact of this mold problem, but in the longer-run there will be less feed available. Aflatoxins can be given to animal but the percentage has to be controlled so as not to reach toxic levels. Contaminated corn can be turned into ethanol but the DDG's from the corn may be contaminated. This is a problem that will affect price upward as we move through the harvest season. "Nobody really knows what will work to get the economy back on course..."
- St Louis Fed President James Bullard. Gillian Tett in the FT reported that the Duke University CFO survey states that 91 percent of companies will not change their business plans even if there is a 1 percent decline in rates. Rate changes does not make a difference with growth. It is business cycle expectations. Investments decisions are not dominated by the level of interest rates as expressed in general Keynesian models, but by the expectations for future economic growth. Keynes discussed the role of investment expectations on the impact of aggregate demand. It is the role of expectations on investment decisions that will guide the effectiveness of monetary policy. Unfortunately, the link between policy and expectations is weak. The only clear monetary role is to have inflationary expectations increase to force investments to be undertaken today. "decisions to take positive action, the full consequences of which will be spread out over many days to come, are the result of animal spirits -- a spontaneous urge to action rather than inaction, not the weighted average of quantitative benefits multiplied by quantitative probabilities"
"If the animal spirits are dimmed, and the spontaneous optimism falters," ..."enterprise fades and dies." The BOJ Asset Purchase Program was increased by 10 trillion yen from 70 to 80 trillion yen. The impact of driving the exchange rate lower was short-lived. The BOJ action is again too little relative to the Fed and ECB. The relative value still places the yen in a strong position. The Japanese monetary base has increased by only 36 percent since pre-Lehman levels while the Fed has increased its monetary base by 300 percent. The ECB has seen an increase in their monetary base of 200 percent. The yield curve is still lower than the US, but the inflation rate is still negative and growth is slow. The low rates does not tell us that monetary policy is easy. The exchange rate will tell us that policy is easy. Don't look at current inflation but inflationary expectations. These numbers are measure through break-even rates show a market that expects to see more inflation. We are not talking about 1970's and early 80's levels, but we are seeing levels of approximately 2.50 for the next ten years for US Treasuries. The swap rates suggest inflation that will be closer to 2.75. This is above the Fed's target of 2%. There is an inflation difference with QE3. The first two QE programs were implemented to stop deflation fears. This program is supposed to improve employment. There is no talk about deflation fears with QE3. Inflation tail risk is increasing. How long is QE3 going to last? If you listen to the Fed, QE3 could go on for infinity or until the unemployment rate gets down below 7%. But what happens then? If we get below 7% and then pull liquidity from the system, the rate could go back up above 7%. So we will have to hold onto this policy until we are well below 7%. Even then, we can only reverse the increase in Fed balances slowly. If rates start to rise, will more buying have to be undertaken? Again the policy may have to continue. The result is that there is no clear end game for QE3 and this is scary. 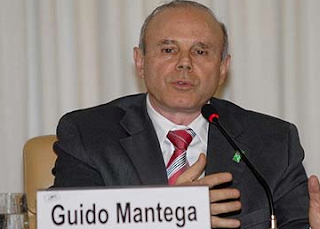 Guido Mantega, the finance minister of Brazil, has announced again that the monetary policies of the major G7 central banks has created a currency war. He coined the term "currency wars" after the Fed introduced QE2. He is again seeing the same signs. He stated that QE3 will "only have a marginal benefit in the US as there is already no lack of liquidity ... and that liquidity is not going into production." Minister Mantega believes that the monetary expansions of the dollar will drive its value lower at the expense of the emerging markets. A cheaper dollar will boost US exports and manufacturing employment. We have always thought that this is a side benefits desired by the Fed. In response to QE3, we are now seeing easing in Japan. The QE program has been in place for sterling and the ECB will flood the market with liquidity. All of this has been to help G7 countries. The impact will be felt by emerging markets countries who have had to buy dollar for their foreign exchange reserves. Brazil and other emerging market countries do not want to see their currencies rise and lose their export gains. So currency wars are what it is being called, but if everyone is providing liquidity the marginal benefit for any one country is limited as currency rates stay the same on a relative basis. Unfortunately, this relative price only stays the same if EM central banks continue to buy more dollars. This cannot be sustained forever! There is no alpha out there. Its is a desert of few opportunities matched with more dollars looking for the few opportunities that may exist. It is a beta world with macro bets serving as the style of choice. We can call macro hedge funds tactical asset allocation in a box. The objective is to generate returns through dynamic adjustment of the beta within the portfolio. Switch between stocks and bonds. Switch between large and small cap, growth and value. The objective is to beat the market at discounting policy alternatives. This is not about judging the quality of policy but acting on expectations of their short-term success. So far, macro has been the style of choice for many investors. The returns have been better than value stock pickers. In a low interest rate environment, there is more value in creating convexity within the portfolio. TAA through macro will be able to do that. How long will this desert last? It is hard to say because the dominance of policy as a investment driver is still strong. regulatory choices will be the place for value picking. Discounting the cost of regulation on firm will be more important than growth prospects. We expect that macro investing will last until there is another leg down in the market and handicapping firm failure become important again. Are we better off then four years ago? The key question for the election and the economy is whether we are better off from four years ago. Think about September of 2008. There was a clear financial crisis. By this measure we are much better off. Financial institutions are better off and there is no crisis, but the number after four years are not anything to feel good about. Consumer confidence is still below 2008 levels, but we are significantly above the lows set in February 2009by a factor of two. Disposable income is higher than four years ago by 3% but we should see this growing at about 3% per year. The level of disposable income is also much higher then the lows of October 2009. Housing is still off by about 20 percent from 2008 although we have improved off the bottom based on the Case-Shiller index. Non-farm payroll as measured by the number employed is worse off from 2008 but again we are above the lows set February 2010. Equities have almost doubled since the lows of March 2009 but we are still below 2008 levels. We have hit bottom and have improved. The is whether we are hitting our potential. The output gap is not easy to measure and the debate on answering our original question is related to whether you believe different policies would have helped us reach our potential. Consumer balance sheets post 2008 - bubble driven? Help will come to the US economy when balance sheets for consumers are improved. It is happening but it slow and takes time. The market value of household real estate has improved by about 4.5% in the last side months. The market value is about $19.1 trillion, still off from highs of about $25 trillion but it does hose signs of stability. The housing problem is now becoming more localized as opposed to nationwide problem. This is assuming that the hidden foreclosure problem is not as bias thought by some. Owner's equity as a percentage of the market value is also improving. This is the true measure of housing wealth. Real estate and stock represent about the same percentage of household assets, 25%. Generally, housing has been a higher percentage except foe the period surrounding the tech bubble, in 2008. This means that any change in the stock market will have an increasingly higher impact on consumer balance sheets. Overall the balance sheet of US households is less than 10% below the highs in 2007. The issue for household wealth is how this improvement comes about. If the process is a function of the central bank creating a financial bubble, we have a problem. If this wealth is caused by strong economic growth, we have positive feedback loop for sustained recovery. Unfortunately, the bubble story may hold more water. "Fail quickly; don't invest so heavily that you're stuck with something, and don't fall in love with it because it won't love you back." Good simple investment advice for someone at the end of their successful career. It takes time to determine what are the policy objectives of the government. Sometimes, the government or central bankers do not know what are the goals themselves. Other times the policy objectives are obvious, but we want to make them more complex than they have to be. What is becoming clearer with monetary policy is that central bankers want to reflate their way to success. There has been more recent talk of using QE3 until unemployment goes down, but the main purpose is to cause asset price reflation. Get housing prices up. Get consumer balance sheets in better shape. Cause asset prices to gain until there is more investment in equity markets. Make bonds more valuable as rates fall. The objective to have wealth gains be the transmission mechanism. The ECB OMT program's main effort will be change cross-border lending conditions. These conditions are poor as banks become more nationalistic and keep leading capital within their own borders. Put simply, the effort should be twofold. One, get an environment to have large banks in Northern Europe provide funds to those countries in southern Europe. If the banks are well capitalized and have unlimited funds at cheap rates, they may make this possible. Two, the ECB wants to reduce the risk premium on sovereign bonds and lending within debtor countries. If banks will not buy the bonds and make the cross-border lending, the ECB will serve as the cross border lender of last resort within the EU. With high gasoline prices and significant increases in oil over the last three months, there is a call for more supply. OPEC and the Saudis feel otherwise. Saudi production is still at all-time highs. Russia is producing at levels even higher. Inventories are attractive, so the market is going to have to look for other reasons. The geopolitical risk premium is again rising, but monetary policy is also the key blame. Gold and Oil are liquid stores of value in an environment of higher expected inflation. While growth is slowing, prices have continued to increase for oil. This is what happens when there is a financial and commodity asset bubble. The EURCHF exchange rate has been stuck at the 1.20 level for months but has now moved above the target in the last few weeks. The EURCHF hit an all-time high in August of last year which caused the Swiss central bank to declare a peg for the franc at 1.20 and would use unlimited amount of funds to get the market to this level. It has backed its word with a doubling of foreign exchange reserves to 400 billion chf. Deflation has started to decline but there is little to cause a change in policy except a change in the policies within the rest of Europe. Is the swiss central bank a currency manipulator? Clearly, the answer is yes, but the control of the exchange rate is really in the hands of the Eu finance ministers and the ECB. If they provide better policies, there will be less desire for capital flight to Switzerland at negative interest rates. The Soros comment seems to represent the current wisdom of many around the world, especially those who are debtors. This is not a choice of Soros but of the German people. Germany has been a beneficiary of an attractive Euro and global growth. Germany has also been able to take advantage of cost cutting earlier to be a export engine within the EU. Unfortunately, the gains in productivity came at a price of controlled wages and income growth. The German people have not been able to take full advantage of their export benefits. Now, the rest of the world wants them to be a larger creditor to the rest of Europe or leave. Current polls suggest that the choice if put to a vote is a flip of a coin. If Germany leads, it will only be by reluctance. The politics will continue to place an uncertainty wedge in financial markets. The WTO has lowered its global commerce growth forecast to 2.5 from 3.7 percent. Trade growth has been lowered from 5.6% to 4.5%. The culprit is recession in Europe. The WTO counts intra-Europe trade as part of their global commerce measure. This has stalled as money has flowed back to core domestic spending within Europe. There has been strong trade flow declines between northern and southern Europe. The European flu is dragging down the rest of the world. The supply chain link may cause the same problem as what was seen in 2009. A decline in the G7 will have an amplified effect on emerging markets. What are the choices that are left for the US economy with respect to monetary policy? Not much. There can be a targeted attempts to help specific sectors of the US economy through purchase programs like mortgages or provide further help with improvement of banks. Both of these policies are micro focused. The other alternative is to increase inflationary expectations through raising the inflation target above 2% or focus on nominal GDP targeting. Both of these policies will try and cause purchases today to avoid future inflation. This is supposed to a part of the key component of the QE programs, but the results has not been generated. There has to be more buying to effectively get consumers to believe there is going to be higher inflation. Financial bubbles do not count. The Fed has to become an inflation producer not an inflation fighter. The Reinhart and Rogoff "This Time is Different" meme is still the story that best explains the slow growth economy of the US and Europe. The time necessary to deal with a delevering problem is anywhere form 7-10 years. Their newest research that focuses on advanced economies since the Napoleonic Wars tells the same story. A delevering crisis is not just restricted to emerging markets. Crises may be a part of modern economy that engages in debt financing. The headwinds from a delevering crisis cannot be eliminated through switching from private to public debt. The amount of credit has to be reduced.and there are only a few ways that this can be done. The delevering cannot be eliminated through expansion of the money supply except if there is higher inflation or a targeted expansion of credit based on need. The big lie is trying to tell the public that there is a way to avoid the pain of delevering. Chauvet, M. and J. Piger, “A Comparison of the Real-Time Performance of Business Cycle Dating Methods,” Journal of Business and Economic Statistics, 2008, 26, 42-49. The probability based recession model has been showing flat-line for years. Even with a slight uptick to 1%, there is little threat of a recession. The slow growth is likely related to the credit cycle and delevering. The new normal is slow growth.